Admission is free for this weekend’s Holiday Home and Fun Show. There are over 45 vendors this year presenting ideas regarding home improvement, siding, countertops, cabinets, clothing, pools and spas, health and beauty, accessories for the home and self, gift giving and more. Santa will be available both days to talk to the children, read them stories, and for parents to take pictures. 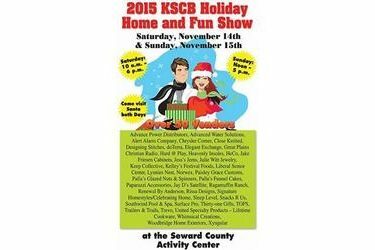 The event takes place Saturday and Sunday at the Seward County Activitiy Center. Saturday’s show runs from 10 AM to 6 PM and Sunday’s hours at noon to 5 PM.